Thursday night, 24 January 2019, was partly cloudy. Friday morning, 25 January, dawned clear but clouds began arriving before sunset. Saturday, 26 January, also dawned clear with a clear sky forecast for the night. 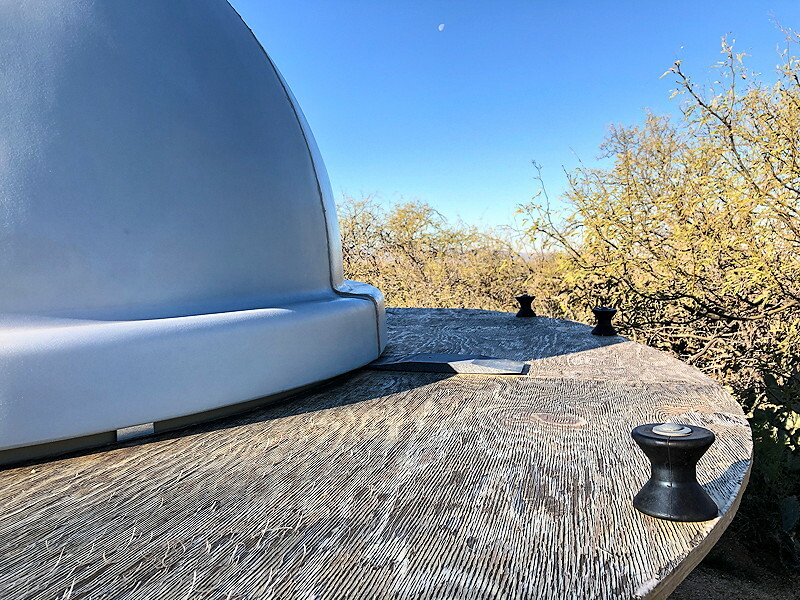 On Saturday I had a local contractor come to the observatory to look at the POD Zenith Table (PZT). The PZT surface needs to be refinished; the four coats of varnish I applied when I made the PZT in April 2016 has deteriorated to the point that I need to do something with it. I am now waiting for his proposed solution and quote. Here's a photo of the top surface, with the waning Moon in the sky. 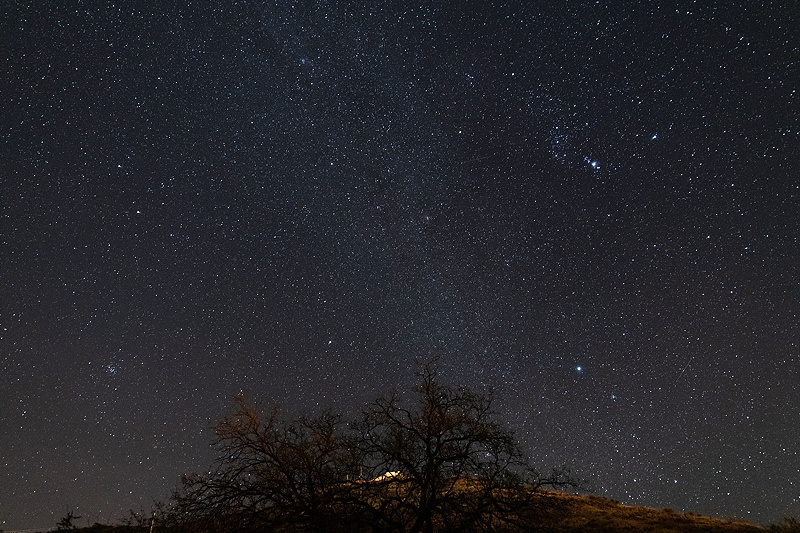 First, I set up the D850 DSLR with the 24-70mm lens on a camera tripod for sky imaging. 1810 MST: LX600 ON, StarLock OFF, High Precision OFF. 1816 MST: viewed the planet Mars, 102X. Then began waiting for the end of Astronomical Twilight (1916 MST). 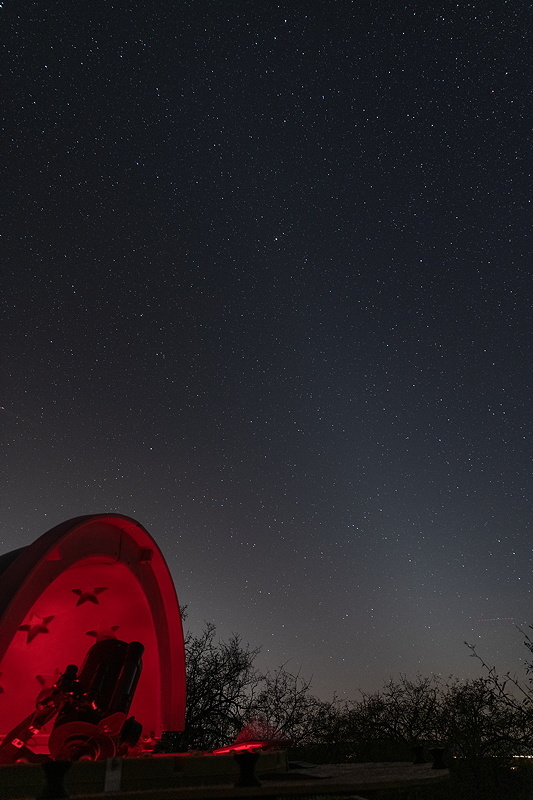 1848 MST: the Zodiacal Light was becoming visible in the western sky. 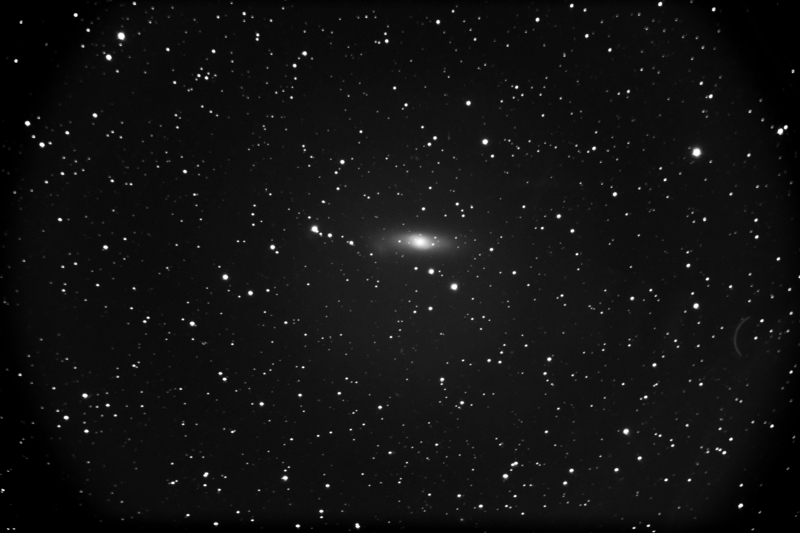 1936 MST: done with sky imaging. 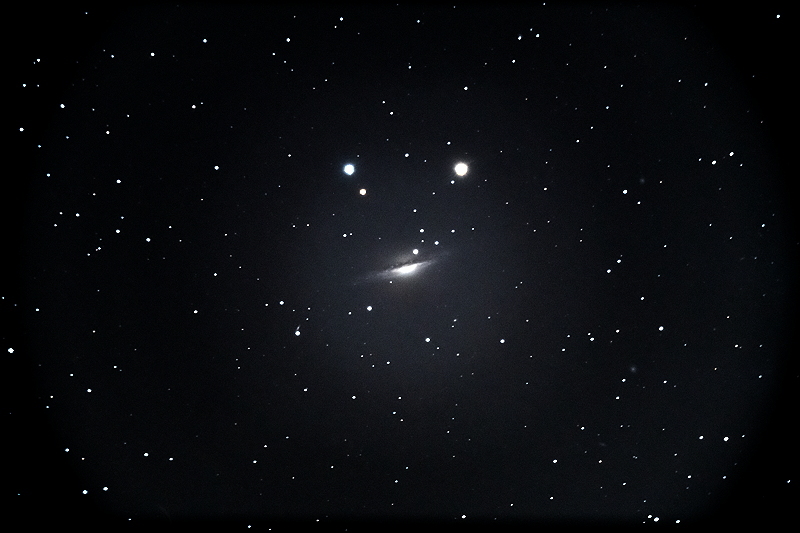 Returned to the 12" telescope. 1938 MST: High Precision ON. 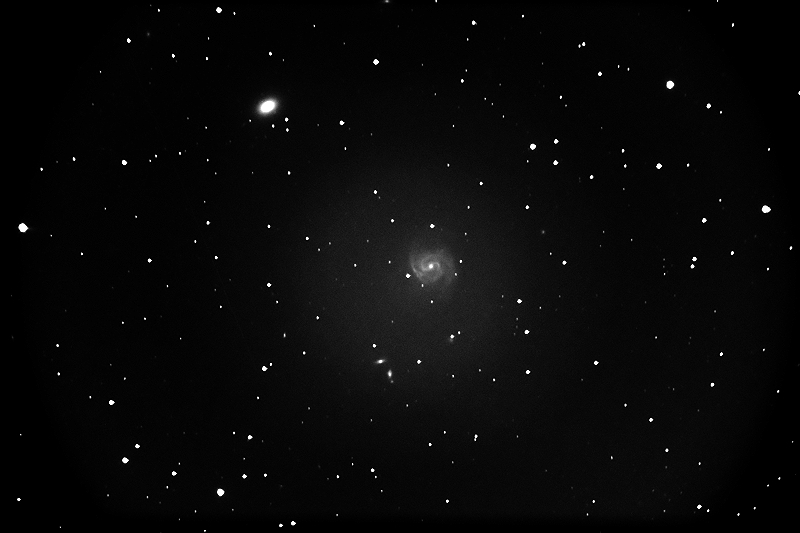 Viewed the galaxy NGC1023, 102X. Nice view. 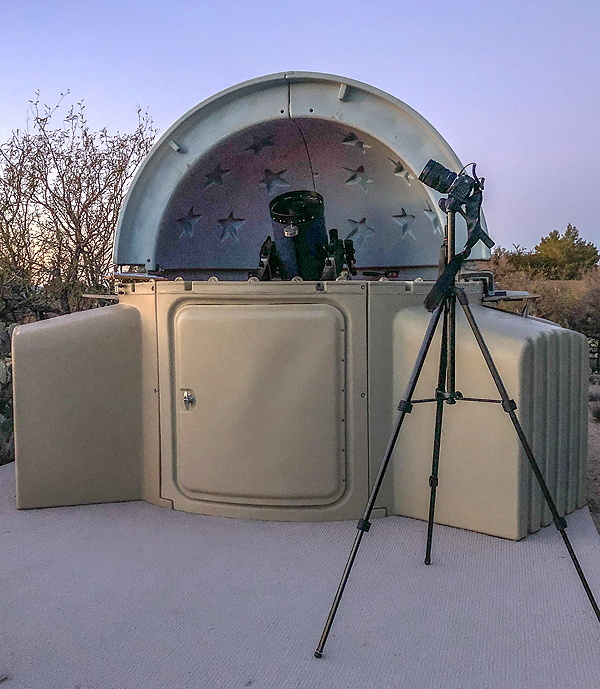 Mounted the D850 DSLR at prime focus, focused on the star Pollux, and locked the primary mirror. Took these images for my Extragalactic Supernova Project, StarLock autoguided, 5 minutes, ISO 6400, WB 5000K. Seeing and autoguiding began getting worse while imaging the galaxies, which made getting 5 minute exposures challenging. The photo captured a "lens flare" from a bright star outside of the field-of-view, which made the photo even more interesting. I will re-take the image on a future session, hopefully without the lens flare. As seeing was so bad I ended imaging for this session. 2121 MST: StarLock OFF, High Precision OFF. 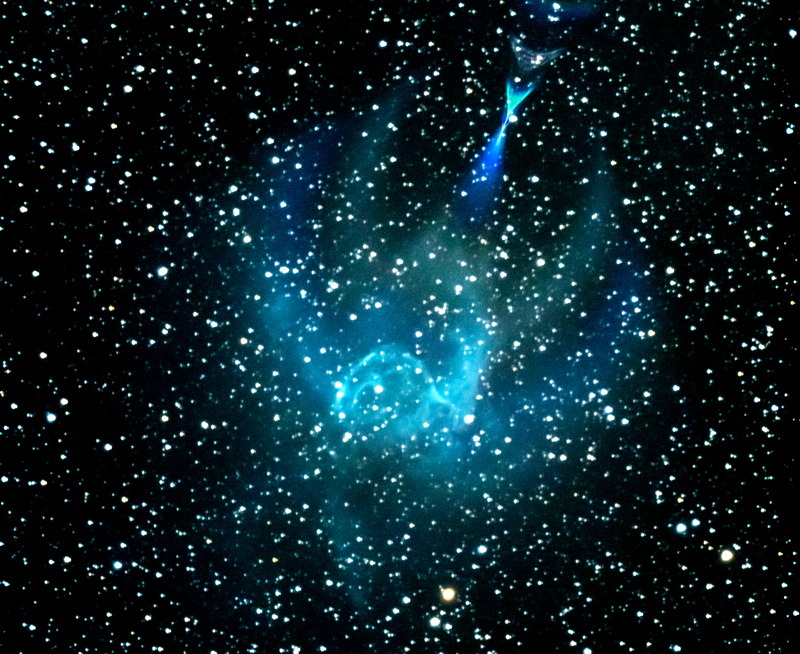 Viewed NGC2359 (Thor's Helmet), 102X. The helmet shape was obvious.